The last time you wore a suit, would be for a job interview or perhaps a wedding party or a funeral. Over the years, it seems suits have decline in fashion. But the run-away models in 2019 Spring/Summer collection suggests otherwise. There is a lot of suit tailoring with a modern twist. Performance fabrics, vibrant colors, unique detailing, looser cut etc. In the ’80s and ’90s, offices got more casual, and as a result, suits got way too big. Then, in the early-to-mid ’00s, designers showed us the wonders of a slim suit. 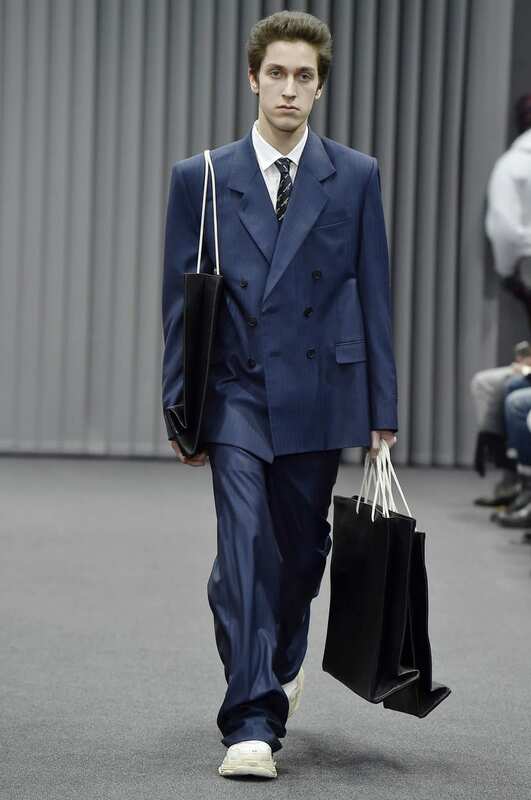 In 2017 and 2018, it finally seems like the industry at all price points has embraced a less-boxy, better-fitting suiting aesthetic. But in fashion no trend is too big to fail. Over the past few seasons, something strange has been happening on runways: Suits are getting bigger. Do go throw your slim suit away right yet. Oversize suits are in but it may not be mass produce or widely accepted or worn by everyone. 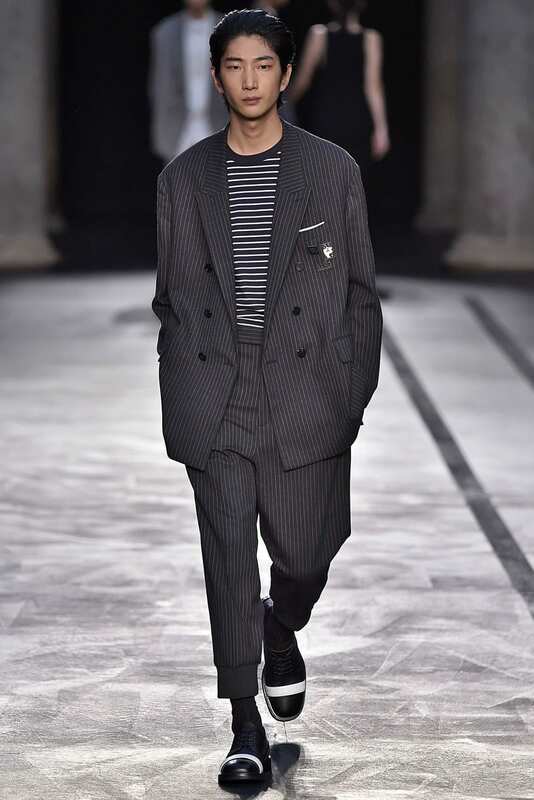 Whats important is these oversize suits are cut and style in a very unique way. The fabrics used for these new suits seem specially tailored to meet the inherent flowiness of bigger proportions. The pants are just cut wide, but has the grace, the fall and the drape to it rather than just sticking to the thigh. Sure, there’s something to be said for the idea that a bigger suit can only look good on a tall, skinny model. That’s definitely possible, but this trend is also very new. 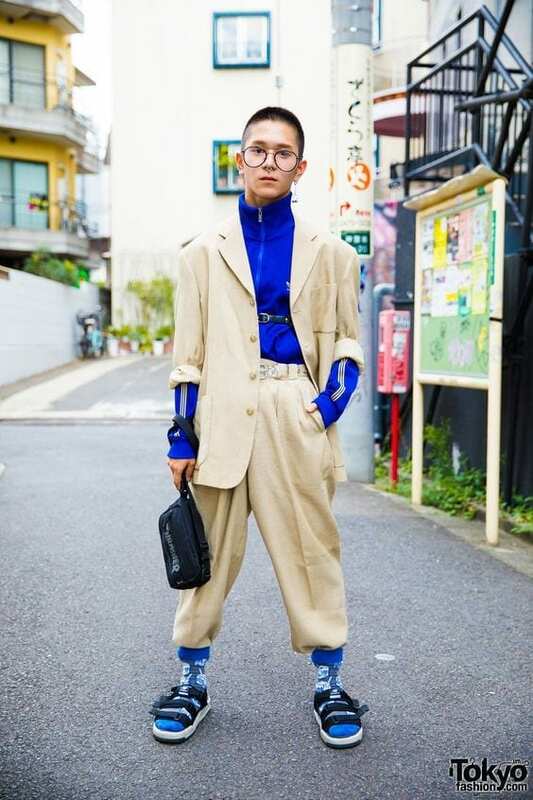 Ultimately, all we’re saying is that the big suit trend only seems to be getting bigger, and if you can pull it off, it’s one of the coolest ways to stand out right now. In other words, proceed with caution and be aware that a well-tailored suit will look better on almost every guy. Its time the suit and tie had a millennial makeover. And that is the influence of streetwear into the suits. This new type of suit is a little slouchy, with a strong streetwear influence by best pairing them with sneakers rather than dress shoes. Streetwear has been influencing the mainstream fashion and luxury markets for few years now. The agenda for streetwear is simply – classic suits is too stuffy and uptight. And it wouldn’t harm skipping the shirt inside just like how its shown in Dior’s SS19 show. Streetwear began as a ground up movement, clothes for surfers and skaters and punk teens. Its a movement against the boring professionalism and exclusivity and expense of luxury fashion. It instead favoured rawness, attitude, creativity, community. It was for us, by us. But now, subsumed by the larger fashion industry it too became boring, professional, “high quality”. A look rather than an attitude or an ideology. A £1000 cotton hoody; no creativity, no community. Streetwear became a victim of its own success, its own dominance. It was once a reaction against an establishment, and then it became the establishment. And now, all of sudden, the suit — that oldest, most boring staple — feels revolutionary again. Suit fabrics can range from real cheap ones to exquisite ones. Deciding between fabrics can be a real struggles; but avoid polyester fabrics at all time. One of the key sartorial decision to be made while getting a suit tailored is seasonality. One should be able to navigate the changing weather through its suit fabrics.